On the night of November 10, 2011 a Tribute to Phil Hill was held at the Petersen Automotive Museum in Los Angeles. The occasion — organized by Bruce Meyer’s Checkered Flag 200 group that supports the museum — celebrated the 50th anniversary of Phil becoming America’s first Formula One World Driving Champion. In addition to the festivities, the museum displayed an assemblage of cars Phil owned or raced. A feature of the evening was the presentation of part of a documentary film about Phil Hill that his son, Derek, is working on. The part shown on multiple screens depicted the 1961 Formula One race at Monza where Phil clinched his championship driving a factory team 1.5-liter “Sharknose” Ferrari Dino Type 156. The film was impressive in its production qualities and I look forward to seeing the finished product. Derek as well as his mother, Alma, spoke movingly about Phil. In addition, photographer Jesse Alexander, Dan Gurney, Jim Hall, Parnelli Jones, Road & Track’s John Lamm and Denise McCluggage participated in a roundtable-type discussion. Over cocktails, a few of us reminisced about Phil’s very early days in sports car racing. He bought his first car — an MG TC — in 1947 from a foreign-car dealership, International Motors, on Sunset Boulevard in Hollywood. The salesman was John Von Neumann. Phil soon got the idea that the MG could be more than just transportation. On November 14, 1948 and again on December 5, 1948, time trials were held on a 3/10-mile test track at the Davis Motorcar Company in the San Fernando Valley. Roger Barlow in his Talbot-Lago Fagoni won the first one. Phil Hill won the MG class with John Von Neumann second. Sec Gausti in a supercharged Alfa Romeo 8C 2300, formerly owned by Tazio Nuvolari, won the December event. The Cal Club ran a number of wheel-to-wheel races during the forties at Carrell Speedway, a ½-mile oval in Gardena, a suburb of Los Angeles. The Speedway had frequent professional races plus occasional amateur sports car events. 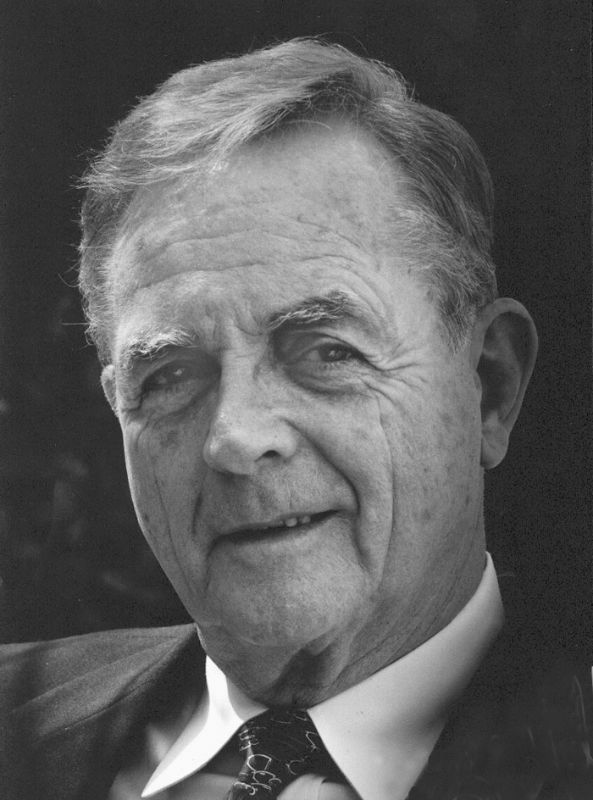 Phil Hill was part of the organizing committee. The first was held on July 24, 1949. 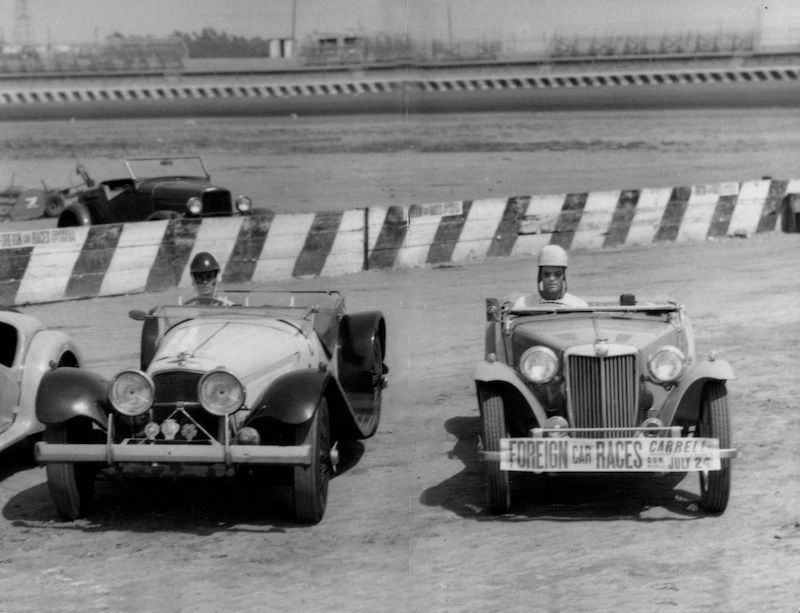 The very first race was an 8-lap “Heat Race for Small Sports Cars.” All of the cars were MG TCs. Phil, who by then had supercharged his MG, was third and then went on to win a 3-lap “Trophy Dash” plus the 25-lap main event. His time was 12 minutes, 12.49 seconds watched by 8,539 paid admissions. The Cal Club held its first legal road race in Palm Springs on April 16, 1950. The club became one of the most active in the United States, sometimes conducting as many as a race every month. 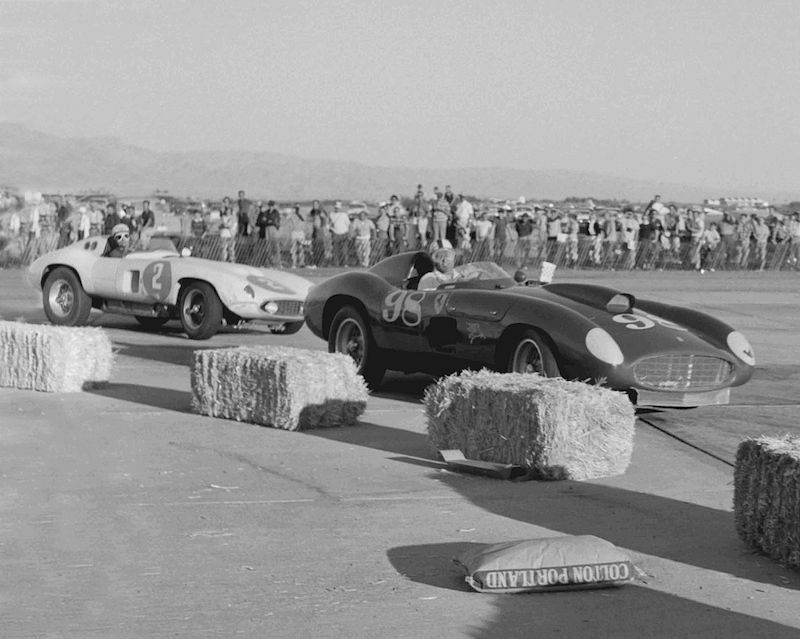 On November 4, 1956 at Palm Springs, Hill in a 3.5 Ferrari had a race-long duel with Carroll Shelby in a 4.9 Ferrari. Shelby won by 0.5 seconds. 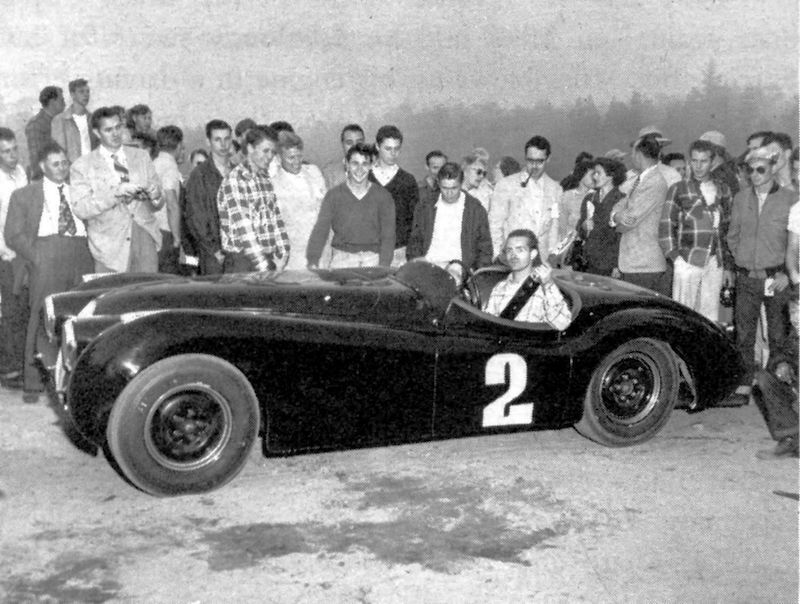 On April 7, 1957, again at Palm Springs, Phil redeemed himself by defeating Shelby, who was in a Maserati.